Looking forward to the new recipes and hope I'm allowed to eat them!! (we are trying to find out what foods i can digest at the moment) Good luck Jessica haywood oaks is a good ride. 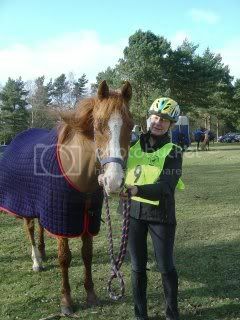 Hi rachel good luck with your 80km we wont be going flat out as horses wont be that fit. Hi Kirsty, Yes, I hope they sort you out quickly so you can test the new recipies, Lemon spong... & Black Cherry & chocholate cake...wow..
Sue you can test all your recipes out on me if you like ! Hi Rachel, got a couple of new recipes to test, Chocholate and black cherry, taste very similar to Blackforest and a normal sponge with Cream & lemon. I've made 6 cakes, 3 of each, we've eaten/tested two and I prefer the lemon..but the black cherry is OK to.. So you'll have to catch up with Cliff, he'll be holding and eating( if I know him) the reserves. I often read the messages on this site so I thought it was about time I joined in!! 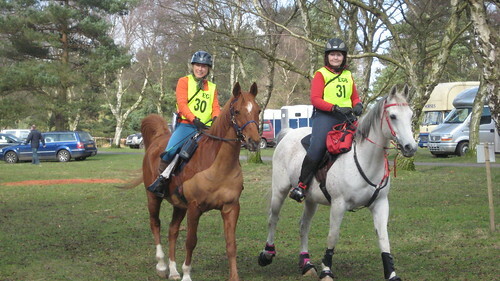 Anyway I hope to see some of you at Cannock ride as I will be crewing for my sister, Sebi riding Serabitibi and a friend Gemma riding Dakota Willow. 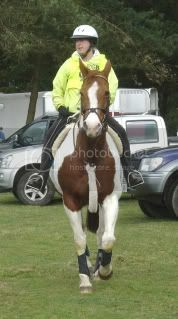 Looking forward to the ride and hoping Rabit copes well with her first endurance ride. OOh Sue they sound yummy. Tell Cliff that he's got competition on Saturday! Thanks for the ride info as well and yes I do get lost but specialize in getting lost at Cirencester most of all so will hopefully get around the Chase! 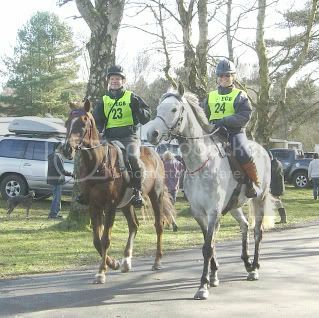 So Andrea, Is Serabitibi a steel grey and did Kevin ride him at Wyre Forest?? 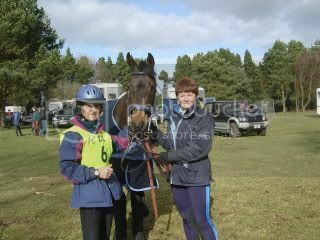 ?, think I've found his on the photo link....leading the string..
yes Sue, I think you found the photos of Rabit, she wasn't very photogenic on that day but she was brilliant on the ride!! Kevin is not riding her at Cannock. I have told him he needs to lose weight if he wants to compete her!!! Went down well!! No cake for him! he will be helping out though. Sorry if I've missed this but is there also a PR at Cannock Chase? Not that I'm going - mine are nothing like fit yet - but a friend is going and I'm rather hoping, for the sake of her horse, that she's not doing the 32km ride. Yes there is a pleasure ride, still 32 km though. Oh... Thanks, that's not going to be good for my friend's mare Wish I was going though! I will look out for you. We are number 100!! so you will probably be well ahead of us! We will be there, Palomino and tiny grey Arab. Every other time we've done Cannock it's snowed! Cake packed, see you there. Sue once again you're making the descriptions of the ride lovely with your photos to show what it's actually like! Lovely weekend too - I hope you've all had a wonderful time. I have a friend riding a youngster today so will be catching up with her on how everyone gets on. 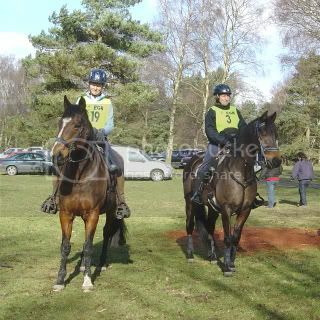 Lovely horses, never apologise for putting phtotos on here Helen! Rachel Rolf & Selasphorus No.3 - Angela Hill & Cascade of Fame. Rose|& me riding for a change. How did you get on...any news....was it a fast ride?? ?...what did you think?????. Sorry Mel & Malcolm, you missed the cake..
Had a lovely day at Cannock. Very eventful too. Started well first thing saturday morning Rabit had lost a shoe. Ride went really well. rabit very excited on her first endurance ride and heart rate was high. She loved the ride and coped well. Stablemate, Willow, her usual laidback self, gained another Grade 1 and is qualified to do Open now, well done Gemma. Getting home was a bit tricky as Sebi's dog Millie locked us out of the car!! Had to wait for RAC. Lorry needed a jump start ( many thanks to the people who helped us out there!) Karl and Gemma got their lorry well and truly stuck in the mud! ( thankyou so much to the very helpful man who towed it out with his lorry and all the people who pushed, very much appreciated). Thankyou to the organisers and helpers at the ride. We will certainly remember it! Lovely photos thanks Sue and good to see you and Rose out and about again. I thought it was very well marked particularly with the sawdust markers and it rode faster than the old route. Many thanks to all those who worked so hard to put this ride back on the calendar. I hope to be back next year. Ann harrison & Millennium Chorus, G.1 @ 14.6kmph. with Tracy. Gill Talbot (Hello Gill) & Ranazak. G.1 @13.9k.